Believe it or not, celebrities have normal lives when they are not filming blockbuster movies or jet setting across the world. They have dogs that need loving and kids that need cleaning. Here is a list of celebrities who own those cuddly bulldogs. Give fall a warm welcome. Refresh your space with premium leather seating, dining sets and more décor. Shop Home Refresh. Free Shipping most items. Chrissy Teigen and her husband, John Legend just welcomed a baby girl to join the ranks of their fur babies. Penny, a three-legged Frenchie was the most recent bully to join their family. Pippa, also a French bulldog and Puddy who is an English bulldog, have welcomed Penny with open paws. 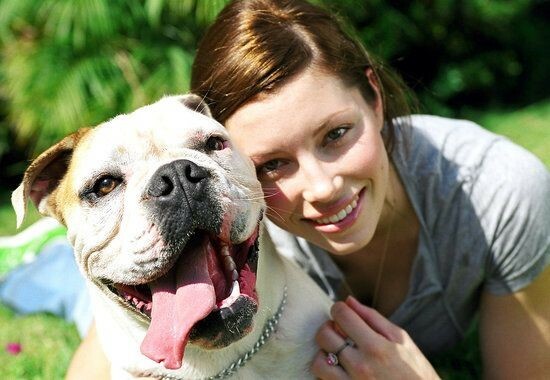 Both Frenchies and English bulldogs have a number of health issues to consider. She portrayed an animal advocate in Legally Blonde 2: Red, White & Blonde. In real life, she recently welcomed a blue French bulldog named Pepper. Witherspoon also as a bull terrier named LouAnn. She also paid tribute to Moonie, the Chihuahua who played Bruiser in both Legally Blonde films. Keeping your pets up to date on immunizations is important. 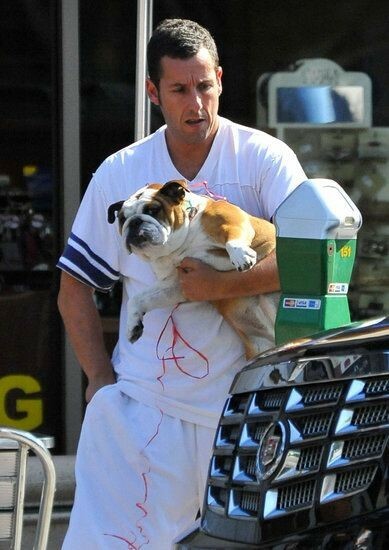 Best known for his comedic movies, Adam Sandler has two bulldogs, Matzoball and Meatball. When he married in 2003, Meatball was a part of the wedding party. Since then, Meatball crossed the rainbow bridge. He was spotted recently with a white bulldog puppy. Could it be a possible sister for Matzoball? 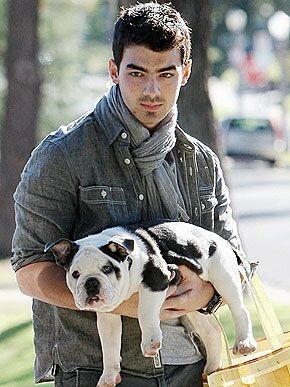 Winston is the Jonas brother’s and girlfriend, Ashley Greene’s, English bulldog. It was early Christmas present from Shrink-A-Bulls. Winston is a rare blue and white tri purebred bulldog with blue-green eyes. Upon meeting for the first time, Joe Jonas got down on the ground to play with his new friend. With his Mickey Mouse markings, Winston’s registered name is Shrinkabull Sir Winston Johan Jonas. 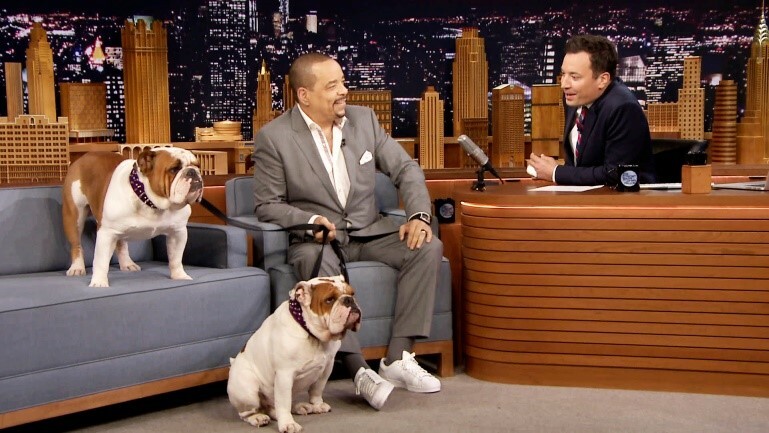 Ice-T and wife Coco have two bulldogs, Spartacus, and his son Maximus. Coco was present for the birth of Maximus and siblings, which was filmed on their reality show Ice Loves Coco. She has been quoted as treating her dogs like family and keeps them healthy with diet and exercise. Voted the most attractive man quite a few times, you can be sure he has the most attractive dog. A member of the Jolie-Pitt family since at least 2011, Jacques is one of the least seen members of the family. With six kids, there is definitely no shortage of love! Coco is the seventh member of the Beckham family. David is one of the best professional soccer players around and his wife, Victoria, made her way as one of the Spice Girls. The couple has four kids so Coco has all the friends she will ever need. 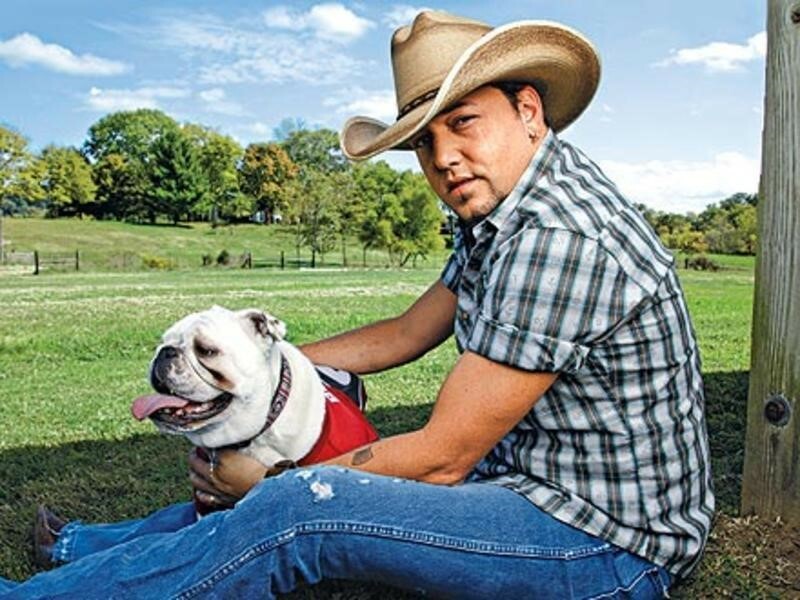 Country superstar, Jason Aldean, brought home Athens, in 2009. She is just as big a Georgia football fan as he is. “I had a Georgia helmet on the floor and she went right up to it.” It makes perfect sense that she loves football. Athens is a distant relative of the Georgia mascot, Uga. He contacted the breeder of the white bulldog and his two daughters instantly fell in love. Dyrdek is most famous as a professional skateboarder and then for his show on MTV, Rob & Big. 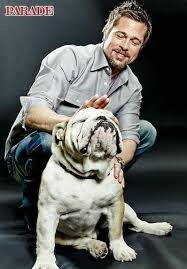 When the show started, he had an English bulldog names Meaty and then got a companion, Ms. Beefy. Equally as talented as Rob, Meaty loves to ride on a skateboard. Both Meaty and Ms. Beefy are best friends and are virtually inseparable.